This year we’ve watched as women's maxi skirts have been through a revamp and made a huge comeback to fashion. Maxi skirts have been injected with some bold prints and updated styles making them a must-have piece for your wardrobe. Check out the range of bodycon, wrap around and skirt with high-slits which could all look great in your wardrobe. Don’t be afraid to get creative with your maxi skirt. 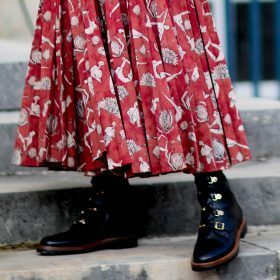 You’re no longer limited to wearing a maxi skirt with open-toe shoes: why not pair a skirt with a pair of chunky platform sneakers or socks boots to be on trend this year.